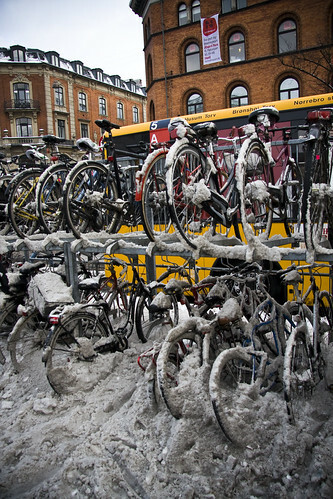 The double decker bike racks at the nation's busiest station, Nørreport. There's lots of action on the streets of the city these days. 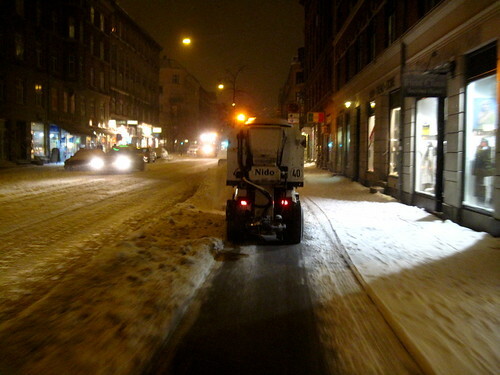 There was actually two of these bicycle lane snowploughs, the other one is up ahead. I rode keirin behind them for a ways. 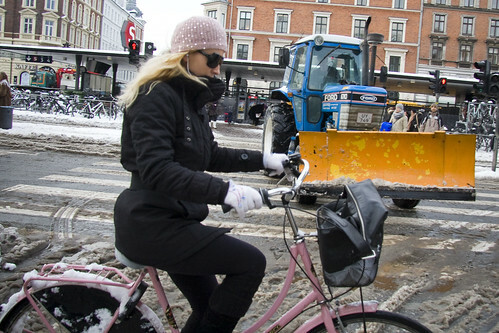 Removing the frozen snow drifts is now the main priority. 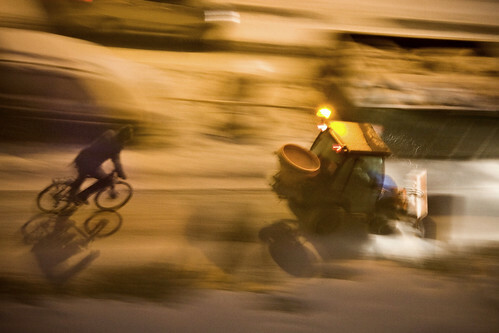 Unless it snows again.